So, you are looking for the Best Hosting for Wordpress Real Estate Websites. The truth is, there are a lot of options out there so let us break down the options and discuss what sets some hosting services apart. When it comes to hosting your Wordpress Real Estate Website, there are a seemingly never ending supply of service providers. Each of those providers then offers a number of solutions from managed Wordpress hosting, shared hosting plans, VPSs, and so on and so forth. You then try to sift through all of this information to try and find the middle ground between affordability and performance. But let's face it, you are not server administrators or programmers and you have better things to be doing with your time than trying to process all of this data. Your mission is to be representing buyers and sellers in the real estate market. So, let us take a minute to break down what is important when it comes to the Best Hosting for Wordpress Real Estate Websites. This may be the single most important factor regarding your website hosting options. What is a dedicated IP address? Well, the web works a little bit like this: When you type in some domain name into your browser, what the browser is really doing is looking for an IP address associated with that domain name which looks something like this: "189.223.34.27". Your unique domain name is really just an easy to remember reference to the real identifier of your website, which is the IP address. Those seemingly affordable shared hosting plans that you can purchase through say Hostgator or Blue Host take multiple domain names and point them to a single IP address. What then happens is when you type in your domain name into the browser, the actual server is using an IP address that looks something like this: "http://189.223.34.27/~cpanelusername/". The reason for this is because there are only a limited number of IP address available in this world and each one cost money to have and maintain. What this equates to is that your website using one of these plans will not be associated with a single IP address, but rather, a sea of other domains will be associated with this IP Address as well all placed into sub-directories off the main IP Address. And This Is Bad Why? Shard Resources - You have to share server resources with many other domains. Say for example website A has a lot of website traffic, well, website B will then suffer in page load speed because the other site is hogging the bandwidth of the server. Search Engine Optimization (SEO) - This is the most important factor. Search Engines such as Google, Yahoo, and Bing KNOW when you are using a shared IP address. This then equates to them possibly believing your site is not that important because you chose not to take the time to invest in a Dedicated IP Address. Trust me. This is really really important when it comes to SEO. Depending on the average number of visitors your site receives each month, performance may or may not be an issue. But, if you are expecting to be brining lots of users to your site via the content you have created, you are going to need the performance. A better hosting platform is going to have features that are built for performance: Solid State Hard Drives, more RAM, etc. These performance features result in a dramatic increase in page load speed. Page Load Speed is one of the primary ranking factors when it comes to how search engines deliver content to users. Note: The Best Hosting for Wordpress Real Estate Websites will have their servers optimized for Wordpress. Ease of Management - What good is a high performance server if you have no idea how to manage it. For example, a popular cloud web hosting company called digital ocean offers high performance servers for as little as $10 per month per domain. But guess what, that $10 is only going to get you the server space and then it is up to you to install the server software and maintain it. Never going to happen. Part of the cost of a good web hosting service is the fact that all of these very technical aspects of having a good server are maintained for you and you are given a very user friendly interface for handling routine tasks. They will also take care of site backups and make sure that if something goes wrong, all of your hard work isn't trashed. Quality Technical Support - This goes without saying. If something goes wrong, you want someone there that you can call and quickly get the issue resolved. Period. There are a variety of companies out there who offer quality services, but, there are a couple of standout performers. 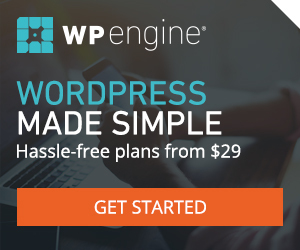 WP Engine is a high performance hosting service provider. They offer managed Wordpress Solutions and are a hosting provider for ONLY Wordpress websites so their service is optimized and secure. 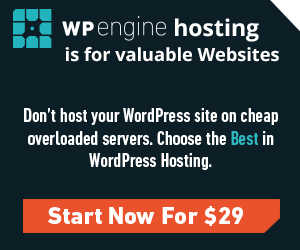 Another great option if affordability is important is the Managed Wordpress Hosting offered by Bluehost. Packages for Managed Wordpress Installations with a dedicated IP address start at $24.99 per month. This is by far the most affordable option that provides a dedicated IP address, but, will lack some of the performance features of WP Engine listed above. 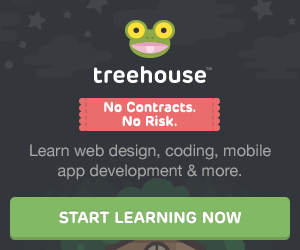 What if you are already on a shared plan where you host multiple domains. What can you do to increase performance? The single most important thing you can do to increase performance is to have some sort of caching engine in place. As always, if you have any question regarding the Best Hosting for Wordpress Real Estate Websites, chat with us below or Send Us An Email and we will be sure to answer any questions you may have.